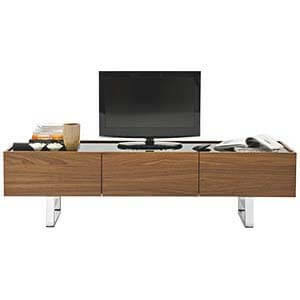 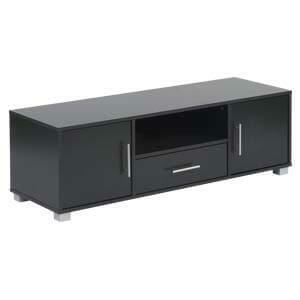 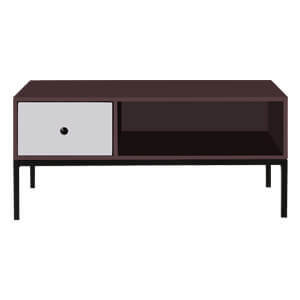 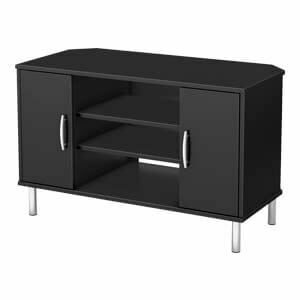 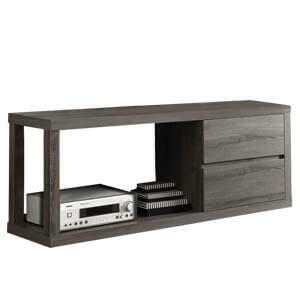 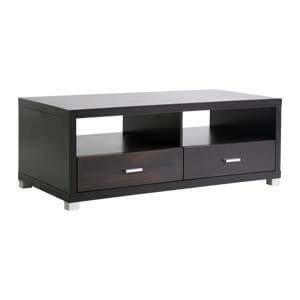 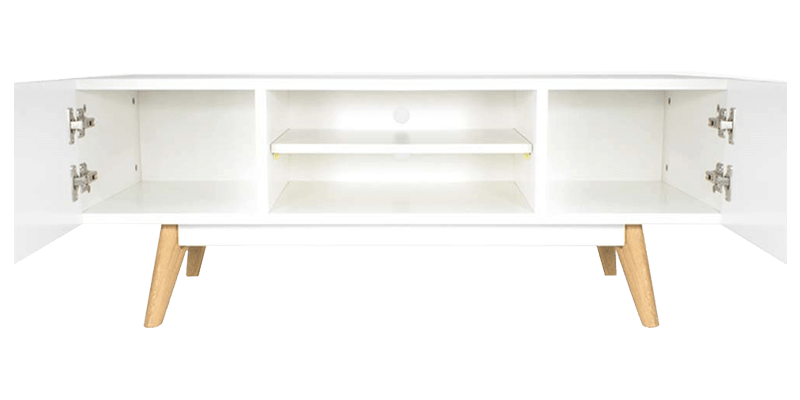 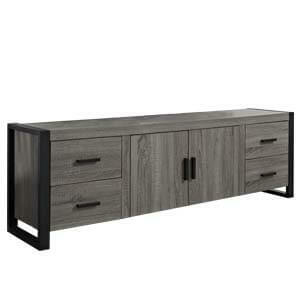 This modern tv unit for living room features a fine blend of form and function. 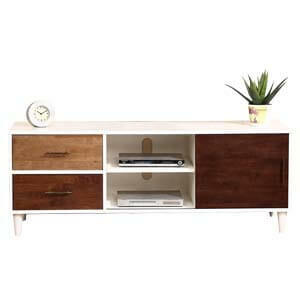 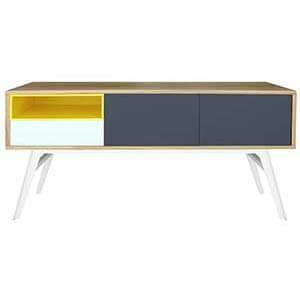 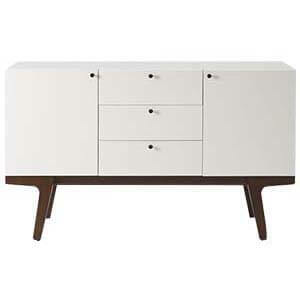 Short angled legs made of wood compliment the low profile and simple design. 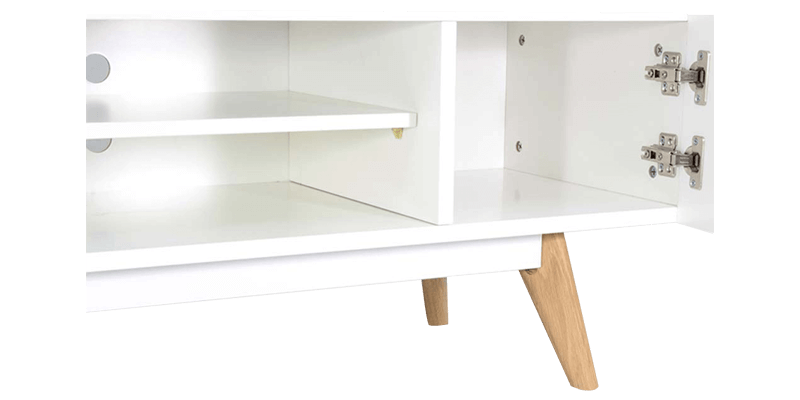 The unit comes handmade. 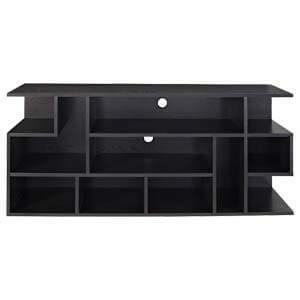 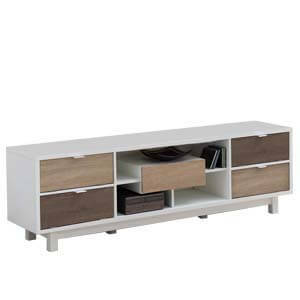 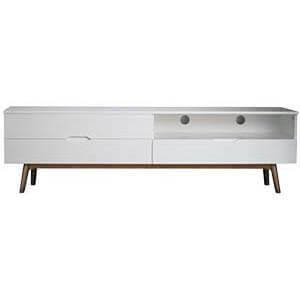 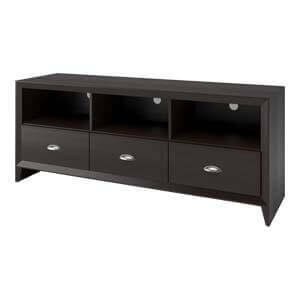 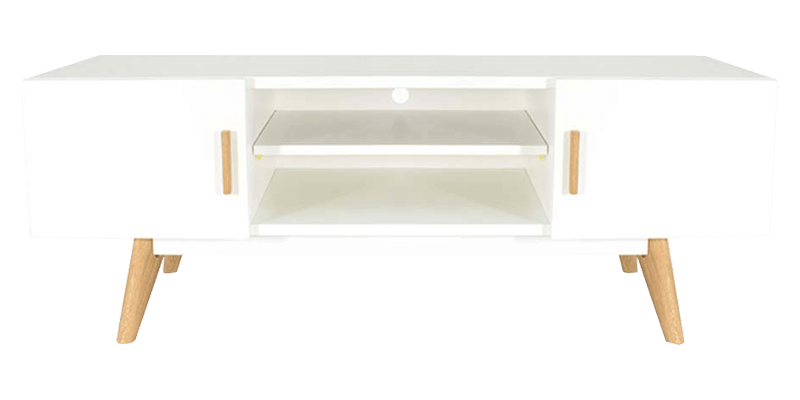 Offers practical storage with its side compartments and center shelves. 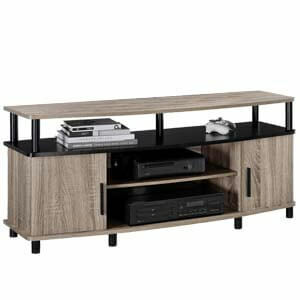 A well-rounded piece of furniture for your state-of-the-art equipment.